High quality barrel priced to meet any builder’s budget! 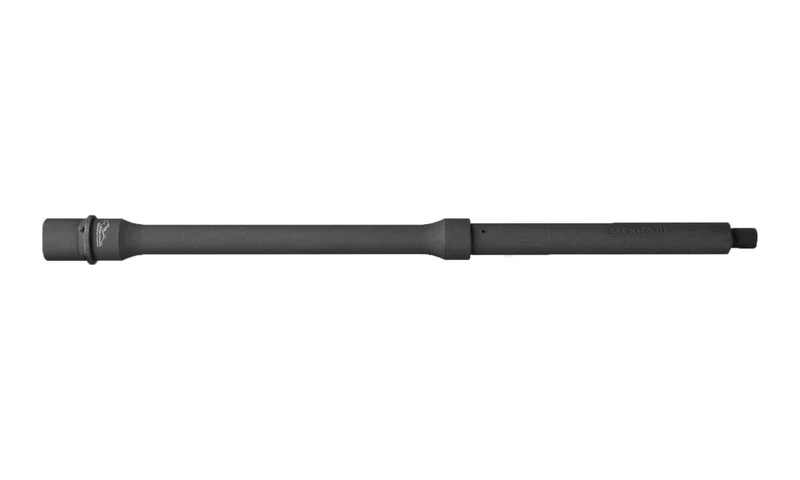 Built from 4150 CMV Steel with a parkerized finish, this barrel offers versatility and accuracy without breaking the bank. Chambered in 5.56 NATO with a 1:7 twist rate, this barrel is perfect for a wide array of ammunition. Proudly made in USA and backed by a limited lifetime warranty. A perfectly balanced barrel for better accuracy. Works just as well as other expensive brands. Great value for your money! 4150 CMV steel makes barrel last long in action. Mid-length gas system for lesser recoil. Superior quality at an unbeatable price. Great barrel, even better price. No problems on install. Barrel worked beautifully. No issues installing. After 600 rounds still punching awesome groups. Highly recommended. I received this barrel super fast and installed it without issue. It wasn't until I went to install my muzzle break that I found the threading at the tip of the barrel was bent at the end (almost as if some one dropped it at an angle on the tip, which would not be a manufacturer defect). I was anxious to get my build done, so I didnt bother trying to send it back; after a few minutes of careful banging with a screwdriver and hammer, the offending groove bent into shape well enough for me to install the break. Fired great once I got her sighted in. No other complaints and I would definitely order again. Debated leaving 5 stars since the damage isn't a reflection of the barrel, but I suppose we are eating the overall experience after all.